A richly varied country featuring everything from Maori traditions to breathtaking fjord lands, New Zealand is a truly magical place. Chosen by film director Peter Jackson as the real-world setting of Middle-earth in his adaptations of The Hobbit and The Lord of the Rings, it’s plain to see that New Zealand enchants all who walk on its soil. Both the North and the South Island offer some of the most jaw-dropping natural scenery available anywhere in the world, and there are plenty of interesting things to do whilst visiting both on your Travelsphere tour. When it comes to holidaying in New Zealand, we promise you'll have the time of your life with us. Our New Zealand escorted tours are handcrafted to ensure there’s something for everyone’s taste. From the emerald-green landscapes, thermal springs and geysers of Rotorua and Napier to snow-capped mountains, shimmering glaciers and beautiful Milford Sound, avid nature lovers have a lot to get excited about. There's also time on our guided tours of New Zealand to explore Queenstown and the vibrant city of Christchurch, for those with more metropolitan interests. 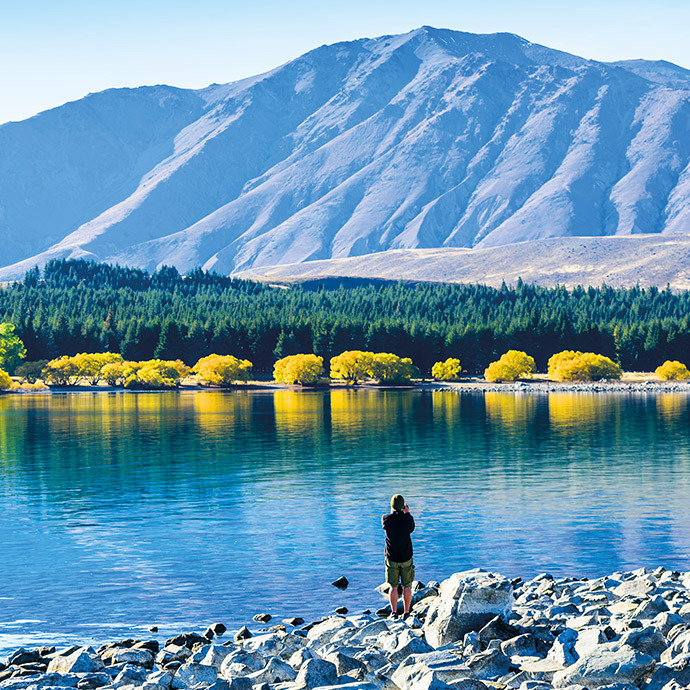 Discover New Zealand with Travelsphere and enjoy yourself in one of the most incredible places on Earth.